On 11 January 2010 a delegation of members of FRENA (Resistance Front in Defence of Natural Resources and the Rights of People and Communities) held meetings in Guatemala City with various civil society organisations and government authorities, including the Ministry of Defence, the Ministry of the Interior and the Secretary General of the Presidency. The meetings were organised to present extensive documentation of complaints against DEOCSA, one of the two electricity distribution companies set up by Unión Fenosa. Shortly after the meetings, the delegation returned to San Marcos. Evelinda Ramírez Reyes and three male FRENA members noticed that their car was followed by a four-door, white car with two passengers, both men of about 22-24 years of age. At 8:30 pm, near Km. 208, the same car overtook them and blocked the road. The FRENA members´ car was shot at, possibly from another direction, and both Evelinda Ramírez and the driver were hit. The driver and two other passengers were able to escape from the car and hide from their attackers. Once the assailants had left the scene, the driver and the two other passengers returned to the car, where Evelinda had died from her wounds. Nothing was stolen during the attack. Evelinda Ramírez was 26 and a single mother with a 5 year old son. She was a member of FRENA and president of the board of the community of Chiquirines, Ocós in the department of San Marcos. She was also a member of the Peasant Unity Committee (CUC). By the end of 2009, no less than sixteen of the organisation’s members had been assassinated. Unión Fenosa denied any responsibility for the assassinations. 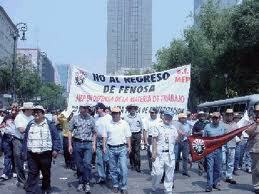 In February 2010, fifty organisations, trade unions and Spanish parties sent a letter to President Colom and to the directors of Unión Fenosa declaring that these assassinations had resulted from the social activism and opposition to the high costs charged by DEOCSA. The letter also pointed out the responsibility of the Spanish government in ensuring the continuing impunity enjoyed by the assassins. 2010 witnessed more assassinations of FRENA members. Martín Cúneo, (15 April 2010) ‘Ocho activistas opuestos a Unión Fenosa asesinados en seis meses en Guatemala’, Revista Amauta, http://revista-amauta.org/2010/04/ocho-activistas-opuestos-a-union-fenosa-asesinados-en-seis-meses-en-Guatemala (accessed 12 July 2010). NISGUA-United States (together with a collection of similar solidarity organisations) (2010) Urgent Action bulletin.